This four-part lecture series Rethinking The Australian Legend explores how Indigenous Australia influences our contemporary nation to thrive. On Sunday the 16th July film makers Jary Nemo and Lucinda Horrocks will join a panel discussion with historian Fred Cahir, revealing remarkable stories of Aboriginal heroes of bushfires and floods in the 19th century. Also hear first hand from Trent Nelson (Dja Dja Wurrung), of Parks Victoria, and Uncle Bryon Powell (Wadawurrung Elder) on reinstating Aboriginal cultural burns in Victoria. 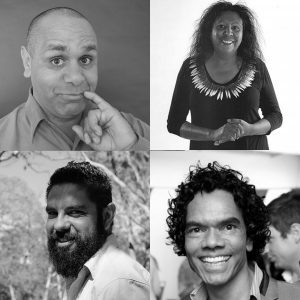 Full program and session tickets are available at http://made.org/whats-on/rethinking-australian-legend/ Tickets include a complimentary bushfood drink. In partnership with Federation University Australia and the Museum of Australian Democracy at Eureka.